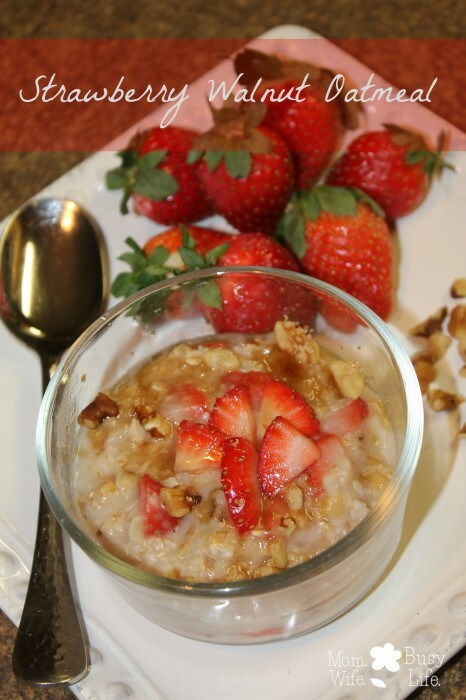 Strawberry Walnut Oatmeal Recipe - Mom. Wife. Busy Life. Here’s a great breakfast recipe for you! It’s quick and easy to make! Lately, I’ve been trying to get creative in the kitchen by adding as many fresh ingredients to my recipes as I can. I had a few fresh strawberries in the house that I needed to eat up before they went bad, so I decided to cut them up and place them in my morning oatmeal! 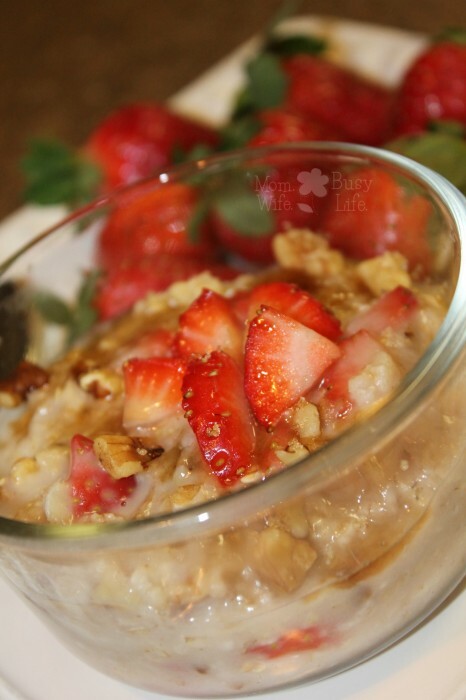 I love strawberries and oatmeal, so this is the perfect combination! I also wanted to add walnuts for extra protein. Enjoy! In a medium saucepan, boil water and salt. Stir in oats and cook for about one minute. Combine all remaining ingredients and stir well. I love oatmeal! The strawberries make it like a dessert! This looks sooooo good. It’s been such a long time since I have been able to eat oatmeal. Yes, this looks yummy. I have written down this recipe, and then saved it to my ZIPLIST Recipe clipper. Brown sugar + strawberries in oatmeal = something that I would love to try. I love oatmeal!! Used to eat it more often and somehow got out of it. Looks so good. Like mine with soymilk, flaxseed and wheatgerm. This looks delicious and easy! This looks like a healthy and delicious breakfast. I also like to serve sliced fresh strawberries and vanilla yogurt for breakfast. 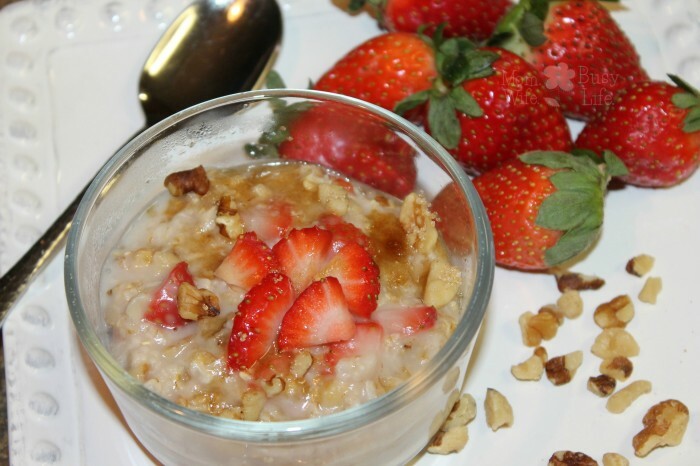 This strawberry walnut oatmeal looks great. It’s healthy and warm for cooler days. I will make this. This sounds so good, I love the combination of strawberries & walnuts. This looks yummy, it’s a great addition to oatmeal. Nice, easy, everyday recipe, and something my grandchildren and us would love for breakfast when they stay over!